As much as blueberries as very healthy, they are also very fun to be creative with. It remains one of my favorite ingredients in making something good, delicious, purply and healthy in the kitchen. The kind that pulls my daughter's attention because she is crazy about everything purple. 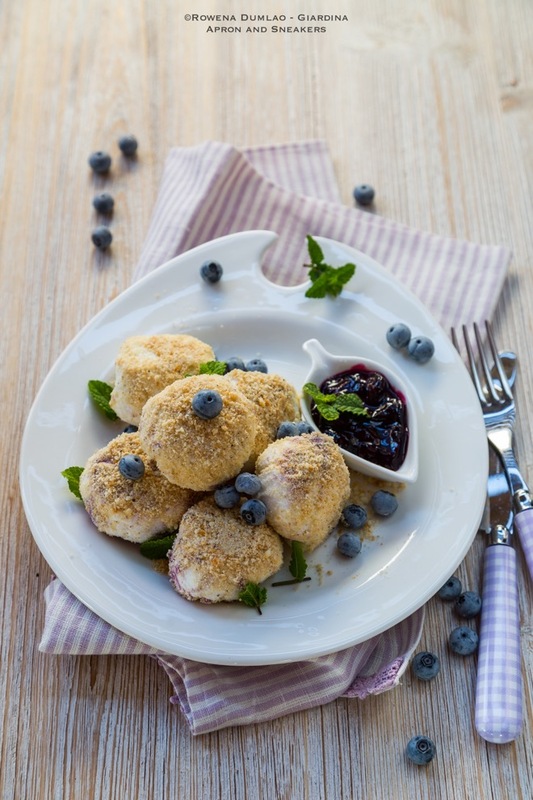 These Frozen Blueberry Cheesecake Balls are are great to pop in the mouth (maybe if you make them lightly smaller than my version). 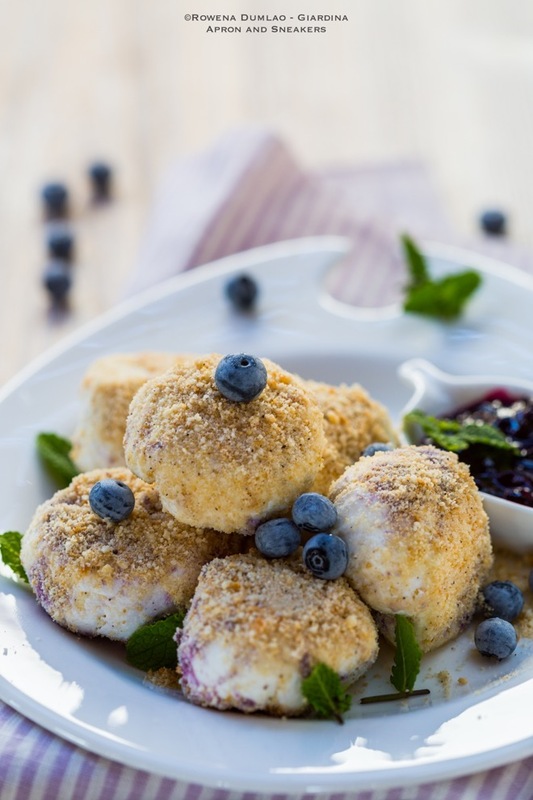 If you love blueberry cheesecakes, then these cheesecake balls will not disappoint you because I made sure that all the fundamental ingredients are present in every bite. There is no biscuit crust but to get that part, I rolled the cheesecake balls on biscuit crumbs that completely covers them. I always make my own blueberry sauce from fresh blueberries and if you have access to frozen or fresh ones, make your own too because not only is it very healthy and tastes great, but it is also very easy to make. I stuffed the sauce inside the cheesecake balls so in every bite, you get that lovely blueberry flavor. 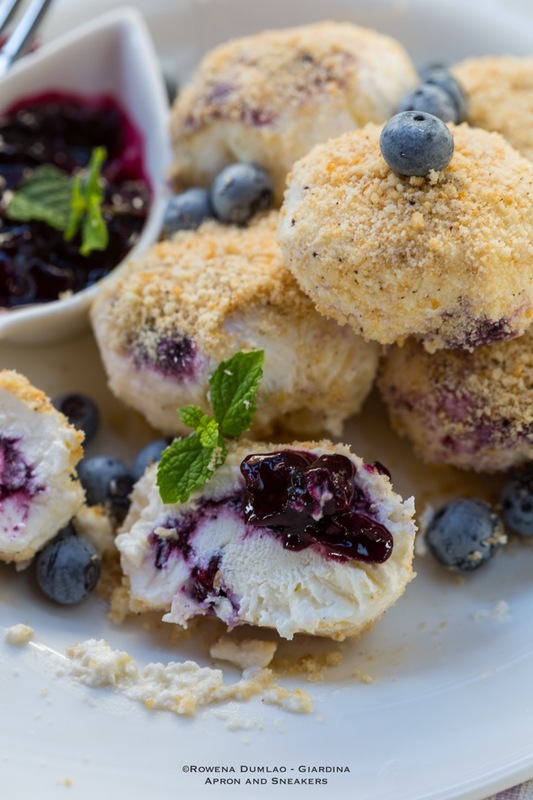 You can prepare these Frozen Blueberry Cheesecake Balls much ahead and just take them out of the freezer when it is time to serve. To get the recipe, go to She Knows, a site where I create recipes. To see more of my other recipes there, click on my Profile Page. Thanks and enjoy the rest of your week!